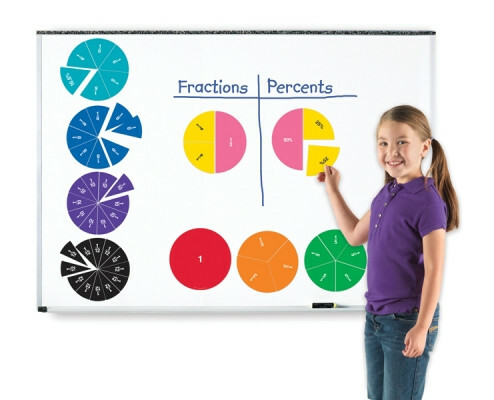 Demonstrate fractions, percentages, and equivalencies on your whiteboard. The magnetic fraction circles are colour-coded to match other Rainbow Fraction® manipulatives for extended learning. "My Year 7 and 8s enjoy using these and playing with them on the board. "